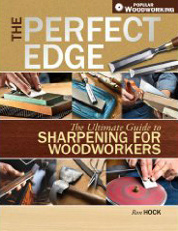 Paperback — Taunton Press, 2018 #FWWWHT $25.00 Buy Now Loaded with clear photographs, drawings, and step-by-step instructions from 35 articles from Fine Woodworking Magazine, this is a useful and necessary resource for anyone who works wood. And, because hand tools are essential to the highest level of craftsmanship, bringing a refinement to work that machines alone cannot produce, these selected articles clarify the how, the when, and the why of the use handtools. Whether using only hand tools or using them in combination with machines, woodworkers will find plenty to value in Woodworking with Hand Tools.